This article first appeared in The Guardian’s Sustainable Business section. If you search on Google in the UK for “suicide”, you’ll see a red telephone at the top of the page alongside the words “Need help?” and the number for the Samaritans. This probably cost Google very little to arrange, yet is hugely valuable – much more so than a donation of the equivalent cash to the confidential emotional support charity. So should companies hand out cheques or be more creative with their social engagement? Kurt Hoffman, director of the Institute of Philanthropy, offers a clue when he says “money is the least valuable social change asset”. While the first iteration of corporate social responsibility was often built around handing out donations to local schools and community groups, most companies recognise today that they can be far more effective by using their key skills and non-financial resources to leverage change. An illustration of that change is that corporate social responsibility indices used to include measures of the amount of money which a company had given. Mercifully these have virtually disappeared in favour of focusing on what has been achieved. Achievement is typically much greater when companies use their core commercial capabilities rather than just money. For example, many logistics companies use their skills and capabilities to deliver much-needed aid to populations in the developing world. TNT managed to get aid to communities affected by the south Asian tsunami within 48 hours, faster than any NGO could have. 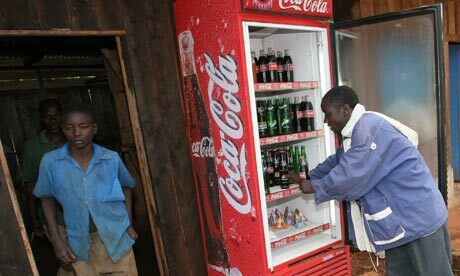 In Africa, the Coca-Cola Company has used the trucks and network which form its logistical operation to combat the spread of HIV and Aids. It distributed condoms and attractive information material to all those dusty villages in the back of beyond where, astonishingly, you can always get a Coke. By contrast, Ikea recently gave tens of millions of pounds to a three-year programme for the UN refugee agency, UNHCR, to care for 120,000 refugees in the Horn of Africa. While that work is vital, Ikea’s support would be more effective if it concentrated on leveraging its own resources and knowledge to create change, rather than handing out money. Swire, a massive Asian conglomerate has a cap-and-trade system for water between its various businesses to incentivise the property development business to design low-water usage into buildings that it will rent out or sell. This insulates it somewhat against political and financial pressure on water guzzlers. Neither of these examples fits the stereotypical view of corporate giving. But because they’re commercially attractive, they’re easier for companies to defend and sustain – so achievement increases yet further over time. When companies are considering how to engage with social and environmental issues, the most important question is what will best help beneficiaries. Any good philanthropic strategy, like any good commercial strategy, involves finding a unique configuration of assets which allows the biggest impact for the smallest input. Since companies have unique capabilities – distribution fleets, huge internet audiences, public trust – it’s often rather bizarre if their response to a social or environmental problem is to give cash. Purists will moan. Charities’ revenue are declining and companies have the cash to top them up. But the objective isn’t to fund charities: it’s to get a job done, such as reducing water usage or improving brain development. Several of those examples involved charities – the Google ad for the Samaritans, Unilever working with Unicef in Ghana, for example – but the partnership is much more intelligent than just writing a cheque. This entry was posted in Corporate philanthropy and tagged Africa, coca-Cola, company, corporate giving, corporate philanthropy, distribution, in-kind, logistics, philanthropy, product donation, profit, revenue, skills, volunteer, volunteering, wastage. Bookmark the permalink.